In Chapter XXXI of The Estate of Wormwood and Honey, Sergey recalls his mother using wormwood as a medicinal remedy. To overcome the child’s resistance to drinking the very bitter medicine, his mother smears some honey around the rim of the cup. This particular way of dealing with the bitterness has roots that are quite ancient. Lucretius was a great proponent of epicureanism, of which I hope to blog at some point in the future. For now, let us pause for a moment to reflect on the good old days when great works of philosophy were written in the form of epic poetry. 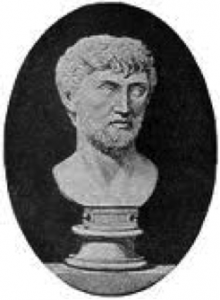 Titus Lucretius Carus was a Roman poet and philosopher. 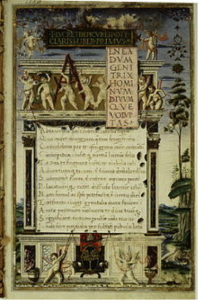 His only known work is the epic philosophical poem De rerum natura about the beliefs of Epicureanism, and which is translated into English as On the Nature of Things. He is believed to have been born circa 99 BC and died circa 55 BC.